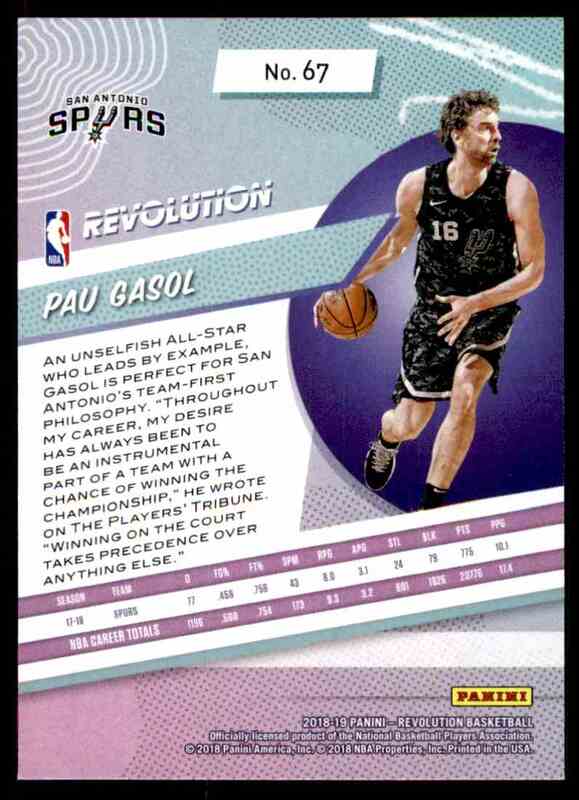 This is a Basketball trading card of Pau Gasol. It comes from the 2018-19 Panini Revolution Base set, card number 67. It is for sale at a price of $ .49. Welcome to my store! We are the biggest and best trading cards dealer in China, and now we are expanding our business into worldwide! 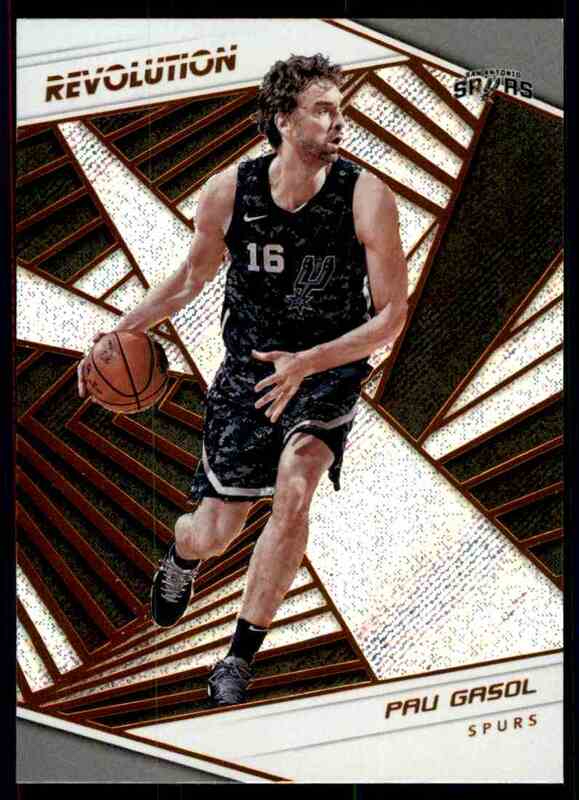 In our store you can get huge selection for basketball, soccer and many other non-sports trading cards. Offers are always welcomed! Cards will be shipped with sleeves, toploaders and bubble envelopes. E-Packet will be our first option to ship your items, it can be tracked on USPS, if you want to use other shipping methods, just let us know.